Meet Pat. I just did. 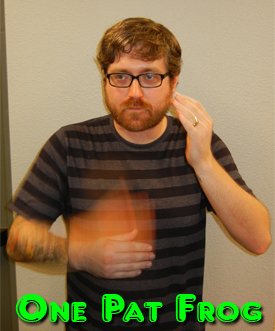 Pat is new to the new office, but not to One Fat Frog. Y’see, way back in the day, ol’ Patrick used to blog for the Frog on what I’m now calling the Frog Blog ™. Word on the street is that he went and got hitched and now he’s back. However, I can’t shake the feeling that I’ve seen him somewhere before. That’s it! 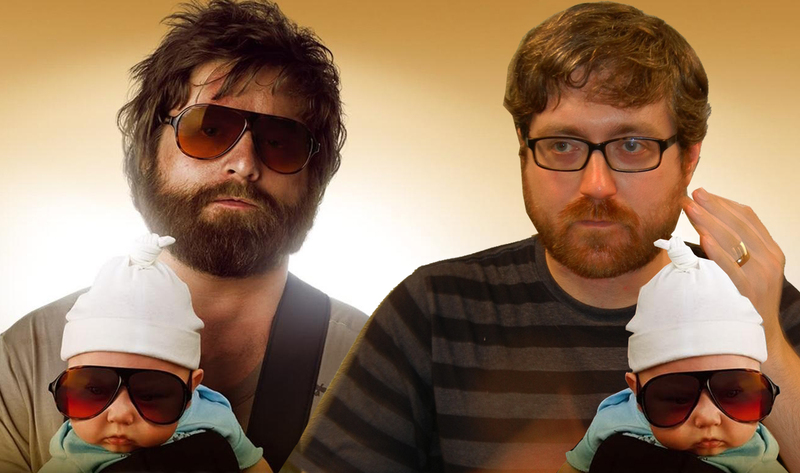 He’s a dead-ringer for disheveled funny-man, Zach Galifianakis. 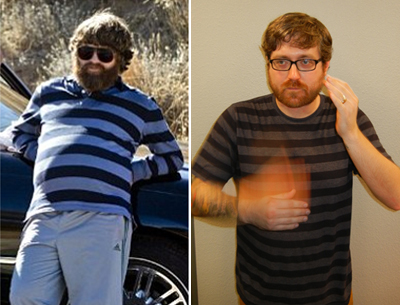 Notice the similarities; same luxurious beard, same dead-eyed gaze, same striped shirt and awkward pose. But I feel something is missing. Let’s all welcome back Pat with a pat on Pat’s back.